Instagram rolled out its dashboard last week with the aim of showing users how much time they spend on the app. According to reports by TechCrunch, Facebook is also rolling out a similar dashboard with the same purpose. These features were announced by Facebook in August and it forms part of the company’s “time well-spent” movement. 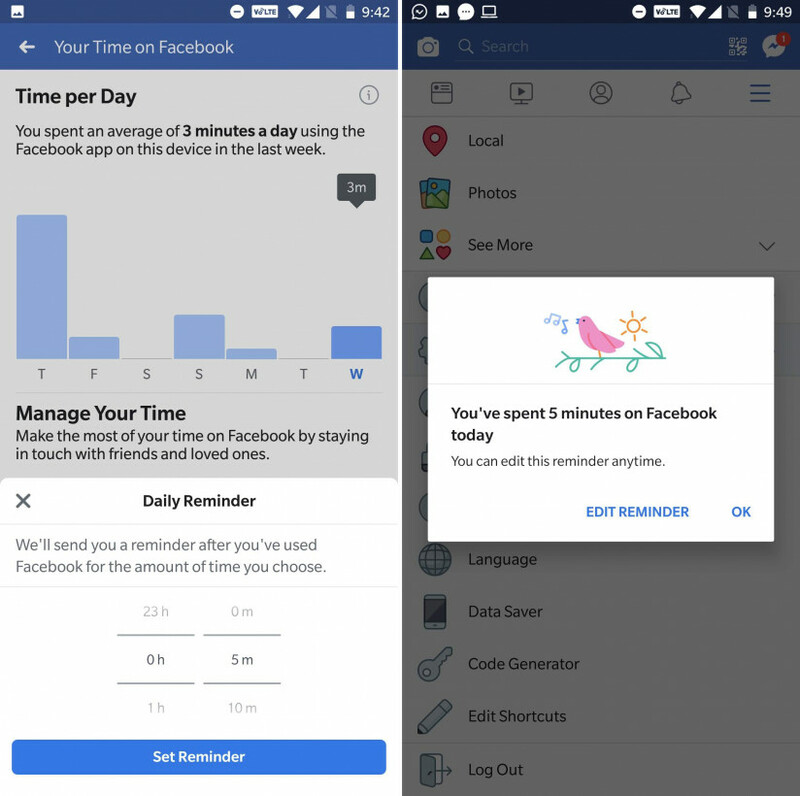 Facebook’s dashboard does let users set an app time limit, and Facebook will pop up a reminder that you’ve reached it. It will also offer easy muting for push notifications. You’ll be able to see how much time each day you spent on Facebook in the previous week. The new dashboard should be rolling out to users now. 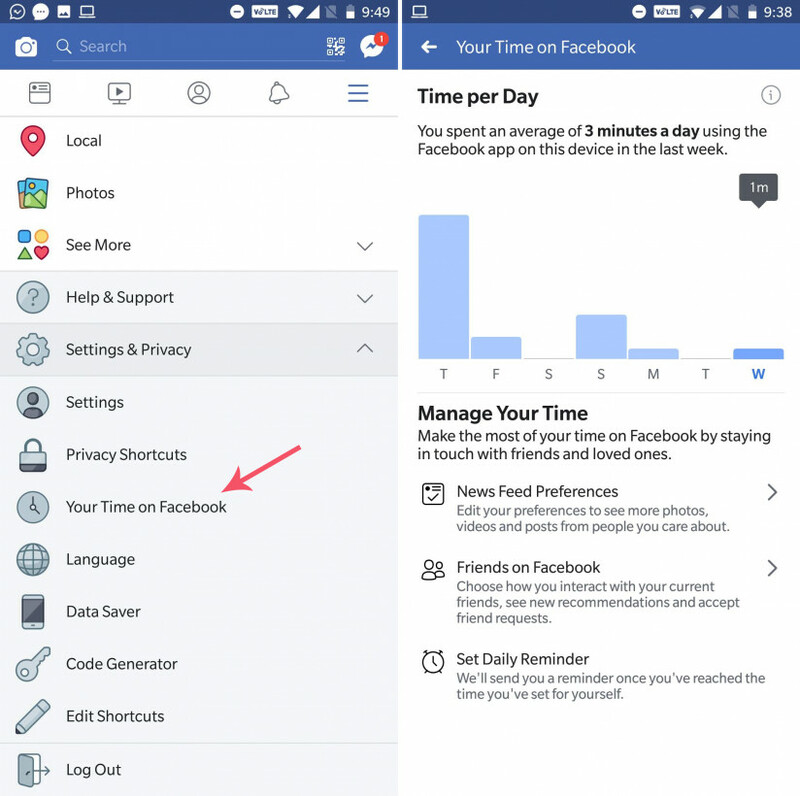 If you aren’t afraid to find out how bad your social media addiction is, just head to the More tab in the app, then to the Settings & Privacy menu, and select Your Time On Facebook.